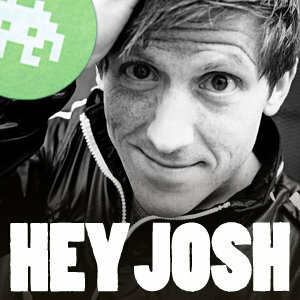 You are here: Home / Emerging trends & STEM / Josh in a Box: Helpful Advice For Parents of Teens! Oct. 21, 2009 What if I told you a few of my favorite advice slingers and youth analysis pros aren’t even parents at all? There’s Anastasia Goodstein of Ypulse speaking from the GenX pulpit (ok, her days are numbered; she’s about to go on maternity leave) and Courtney Macavinta of RespectRx…Along with wünderkind GenY entrepreneur and media machine Vanessa Van Petten, author of ‘You’re Grounded’ and Radical Parenting (from a kid’s perspective) and Josh Shipp of Hey Josh.com for teens and Hey Josh for Grownups, who happens to be newly crowned one of Inc. Magazine’s “30 under 30” watch worthy souls. What makes them all credible? Unique? Refreshing? Josh in a Box is available “for a limited time only” which is either a pilot project/test run or marketing genius of scarcity; either way, such is the magic of youthful charisma and smart as a whip branding. When I asked him about the ‘why to buys’ as we say in the advertising business, it came across sounding more like a labor of love than salesmanship…This endearing, useful, pragmatic “I really wanna help” kind of genuine charisma is exactly what makes ALL ages tune in rather than out. For those of us who have heard his compelling story, and his lightswitch moment when his foster parents said, “Josh, to us you are not a problem, you are an opportunity.” (or some fascimile thereof) his heart on the sleeve interactive engagement comes across as pure and sincere without an ounce of hucksterism or spinmeistership…despite his proclivity to be at ease in front of a camera like an amped up Sat. night live sketch. So what if we don’t have a ‘troubled teen’ per se…? Why do we even need this youthful advice? What’s changed? Why can’t we just ‘parent as usual’ with common sense? Use ‘School Loop’ homework tech tools landing in our inbox but not over-react if the most recent data isn’t inputted. Get used to ’em, cause they’re very real, and they’re not goin’ away any time soon. “I’m Josh Shipp…in your face, but on your side.” Love it. Nope. Don’t think so at all. In fact, it’s always irked me that media and marketing stereotypes of kids and parents are fueled as adversarial, because statistics show otherwise, and frankly if we really were as ‘lame and clueless’ as we’re all depicted (both age spectrums) we’d be in deep kimchee! Anyway…Here’s Josh with HIS pitch on what we need and why, ironically, published first on Radical Parenting’s site, who we’ll be hearing much more from on a weekly basis in the year ahead. …Is your teen acting up in school? Or rebelling at home? Maybe they’re lacking motivation, engaging in risky behaviors, or struggling with relationships. You see, nearly every stereotypical teenage “problem” is really just an expression of this #1 issue. Frankly, it all comes down to this: IDENTITY. Why is this so important? Because identity is at the absolute core of me, you, teens—everyone on the planet—and shapes virtually every choice we make. Why does one teen smoke and not another? Why does one teen get straight A’s and another one drop out? Why does one teen volunteer in his community and another refuse to even get a job? Answer? Identity. Who they are. Or—more accurately—it’s who they BELIEVE they are. The topic of identity is very, very personal for me. For me, I had a pretty rough childhood, which started to creep into my teenage years, which, frankly, at times were very, very miserable. You see, because of my past, growing up in foster care, the abuse, the neglect, the hurt that I experienced… I allowed that to label me. I allowed that to shape my identity and to shape the core of who I thought I was going to be in the future. When my last set of foster parents sat me down and said “we don’t see you as a problem, we see you as an opportunity”, they gave me a different future. Speaking to 1,000,000 kids over the last 10 years has taught me that the importance of that moment. And once I saw myself as an opportunity…for learning, for good, for joy, for healing, for helping others…my behavior naturally aligned with who I really was. How do you get through? Well, I can tell you how I do it. 1) I Engage teens with humor, by listening…by really truly paying attention. When a child really knows you’re paying attention and are 100% focused on them, the results can be radical (in a good way). 2) I Inspire teens with my story. I break their pattern of thinking I’m another ‘boring speaker’ by talking about a very difficult past…and where I’m at now. When I show them and share examples of people who have overcome incredible things, suddenly some of their ‘struggles’ are put into perspective. 3) I Empower teens with specific tools. I give them ‘how to’ videos on my website for life skills. I give them advice, I give them films that presents big issues in entertaining and fun ways. So actively look for things you think can help them…but ASK them what they think. Remember the #1 issue; it’s who they think they are that is responsible for the bad and the good behavior. Practice engaging them and empower them to explore the ‘core’ of who they are. You can always find her linked on our sidebar with a youthful perspective and pragmatic parenting tips…plus firsthand guest posts from teens telling you their own point of view. To get a feel for her wit and style tackling similar subject matter…Here’s one of her posts on ‘labels and identity’ with a different spin called “Teacup Parenting: What Kind of Kid Do You Have? 4 Types of Millenials” You can also ‘follow Vanessa on Twitter’ here. Details below on Josh in a Box; might order it myself, looks fun! You always have such informative and noteworthy posts! You are an information diva…whose words make a difference! Kind of you to say, especially coming from Miz “Kidlutions.com” herself! Yah, I know I ‘deep dive’ in my lengthy prose WAY too much for the average Joe, but then again those of us who live for this stuff, we really need to know enough about the work and its merits in order to do a shout out, ya know? I consider you and the other parenting posse on Twitter my ‘guides’ and ‘human filters’ of solid info in many ways…so I think we help each other ‘prescreen’ a bit to get the good stuff to the top! 🙂 Thanks, Wendy to comin’ over to ‘long form’ blogging for a visit, and for taking the time to comment!